Current Affairs is released bimonthly. Our magazine can be found at newsstands across the United States and has subscribers around the world. Please contact [email protected] with your queries and complaints. 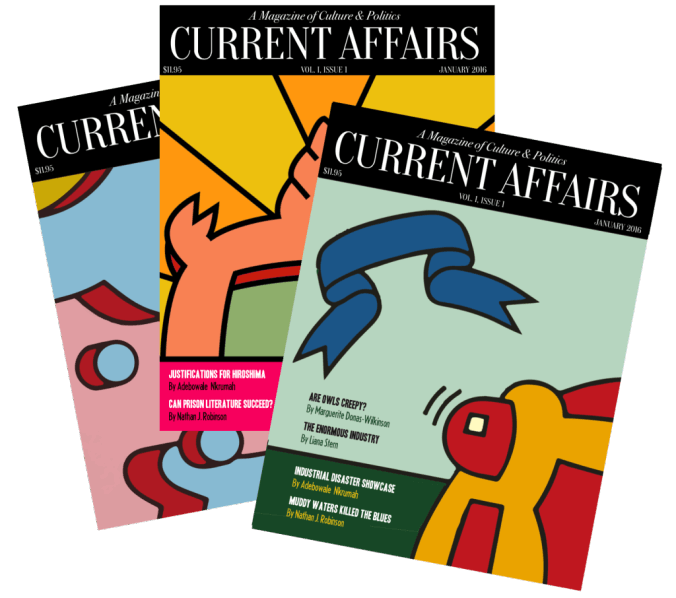 Current Affairs is a bimonthly print magazine of culture, politics, and the absurd. We have two missions: to produce the world's first readable political publication and to make life joyful again. We have offices in London and Washington, D.C.
"The Wall Street Journal of surrealistic left-wing policy journals." "If Christopher Hitchens and Willy Wonka had edited a magazine together, it might have resembled Current Affairs." "The only sensible anarchist thinking coming out of contemporary print media." 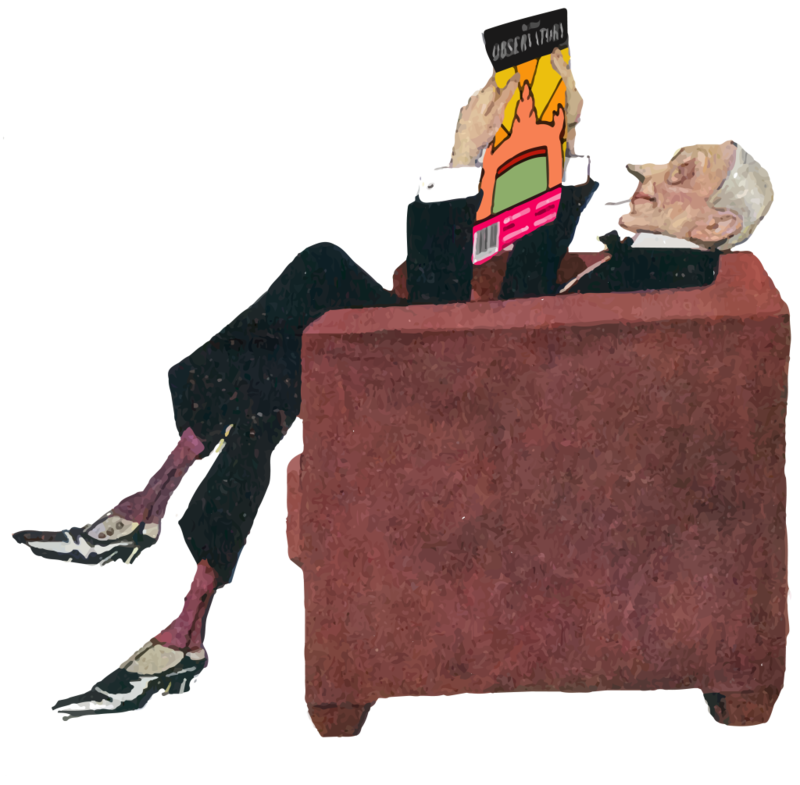 "Le monsieur sensée doit lire régulièrement Affaires en Cours..."
A Current Affairs subscription is a perfect way to show your appreciation for a friend or punish a nemesis.